Summer time is here once again. There are many things we wanted to accomplish like attending summer camps, traveling and outdoor adventures. We enjoy bonding time with family and friends and then coming home with piles of laundry. One of my favorite household chores is doing the laundry, of course with the help of a washing machine. Because I'm not getting younger anymore and the schedule is screaming, I cannot imagine how life is without it. Unfortunately, washing machine cannot do the job alone. We have to choose a better detergent such as Ariel Power Wash and a long-lasting fabric conditioner to make our clothes smell fresh and clean. Last week, hubby recommended grocery shopping at Puregold QI Central to look for Captain Zero. Unfortunately, it will be available soon. While shopping, I noticed a huge display at main entrance of the supermarket. There were two mannequins behind a glass window display. The red gown was washed with Downy Parfum Collection while the grey sprayed with expensive perfume. Guess who last longer? Customers were also interested to know which mannequins still smell fresh. 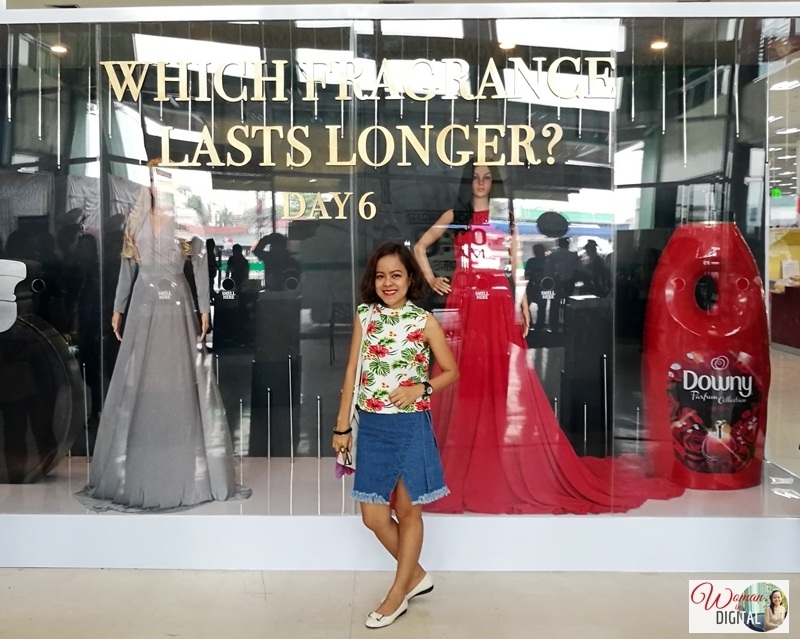 I myself went closer to check the long-lasting scent of Downy Parfum Fabric Conditioner. I found out it was standing there for six days now and surprisingly the gown still smells fresh and floral while the other one, old. 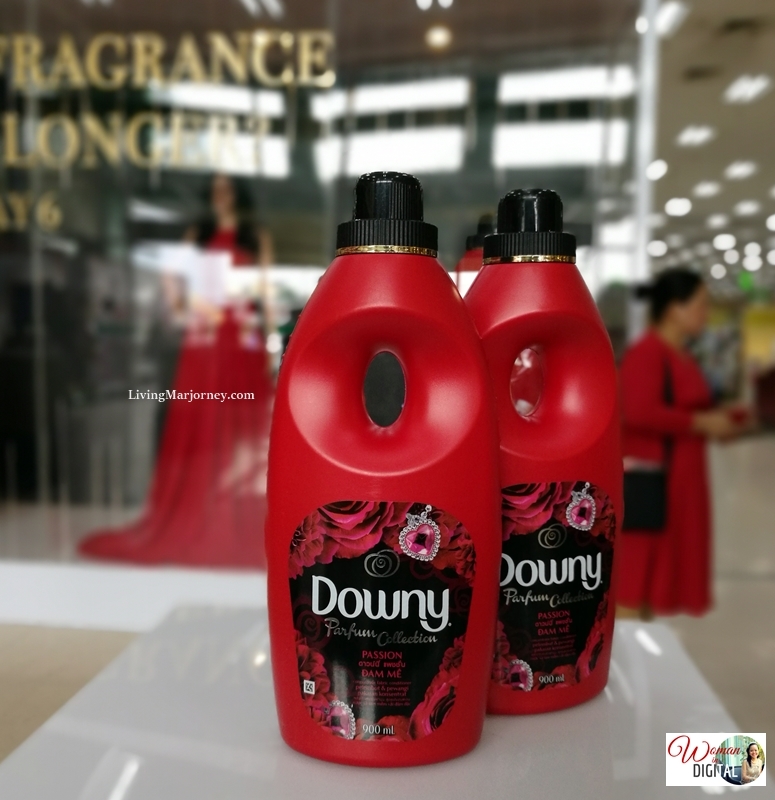 Designed to match the varying personalities and preferences of Filipinas, the new Downy Parfum Collection features an upgraded formula of its flagship sophisticated scents: Passion, Mystique, Romance, and Fusion. 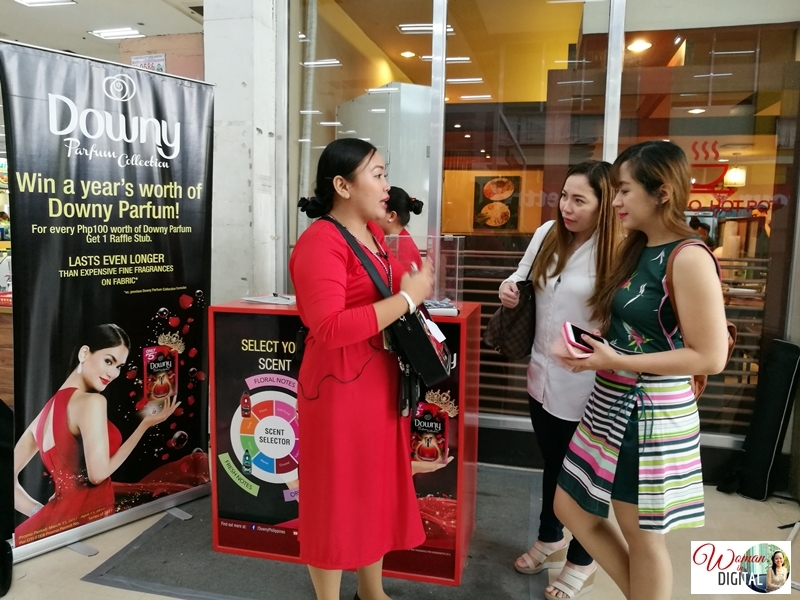 The upgraded collection has the highest-ever intensity of premium perfume oils and the best dual perfume capsules technology in Downy’s history in Asia. For bed covers, towels and pillow cases I use Downy Passion. I prefer Mystique for my clothes. Join the conversations at www.facebook.com/DownyPhilippines or at #Downy #NeverFade. Downy will be in selected Purgold stores to treat for a chance to win a yea's worth of Downy. With only P100 worth of Downy Parfum Collection at these branches, customers get a raffle stub. So what are you waiting for? This #NeverFade window display can be seen at Puregold QI Central branch until 18 March, and at Puregold Shaw branch from 24 to 31 March 2017.